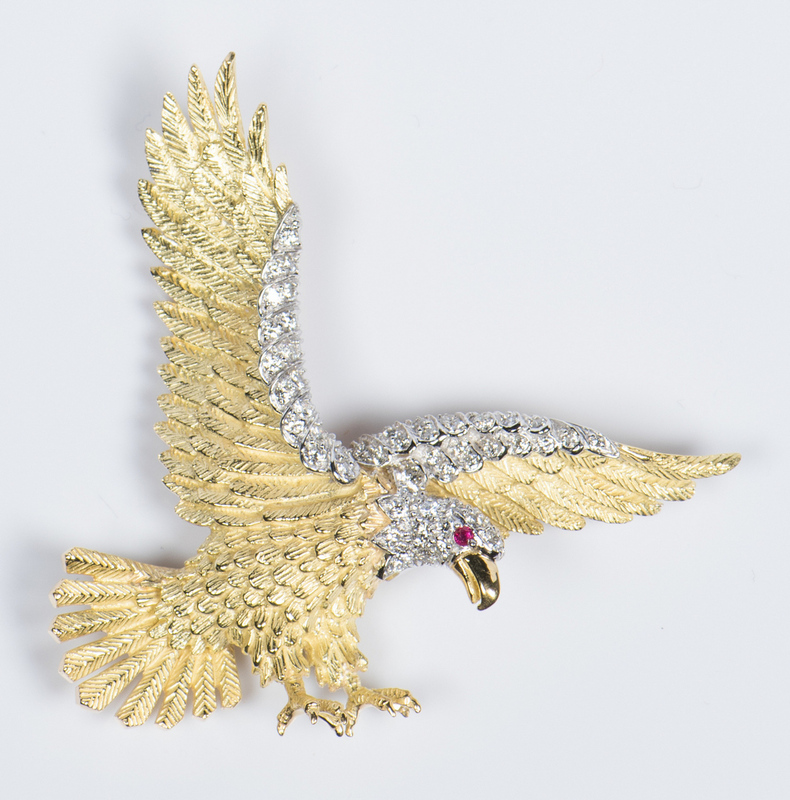 American Bald Eagle Herbert Rosenthal Bicentennial brooch/pendant consisting of one .02 round brilliant cut ruby surrounded by fifty-four .02 pt. round brilliant cut diamonds (VS1/VS2 clarity, E-F color) set in platinum. 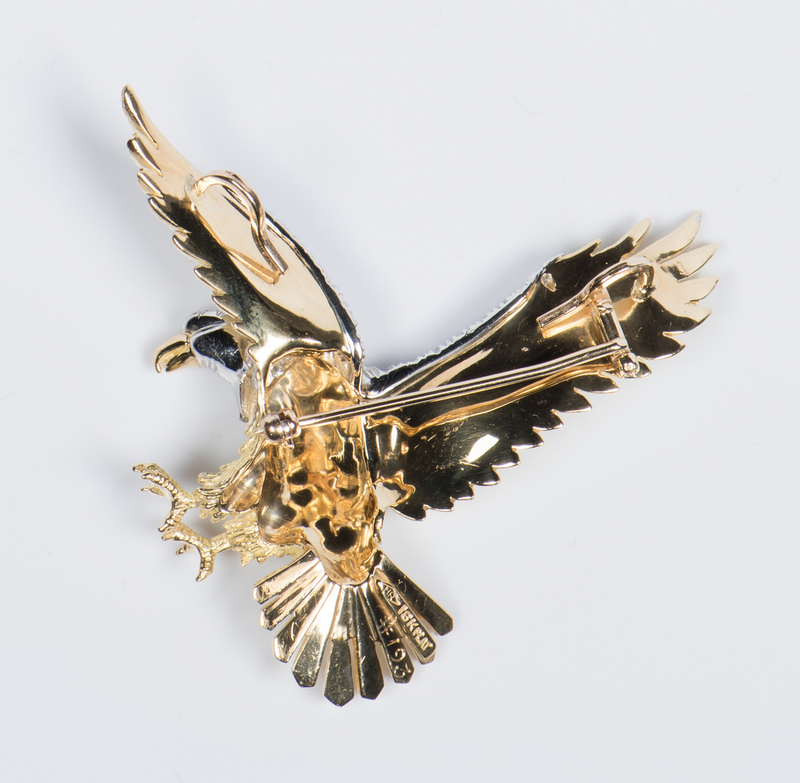 The eagle mounting is made of 18K yellow gold. 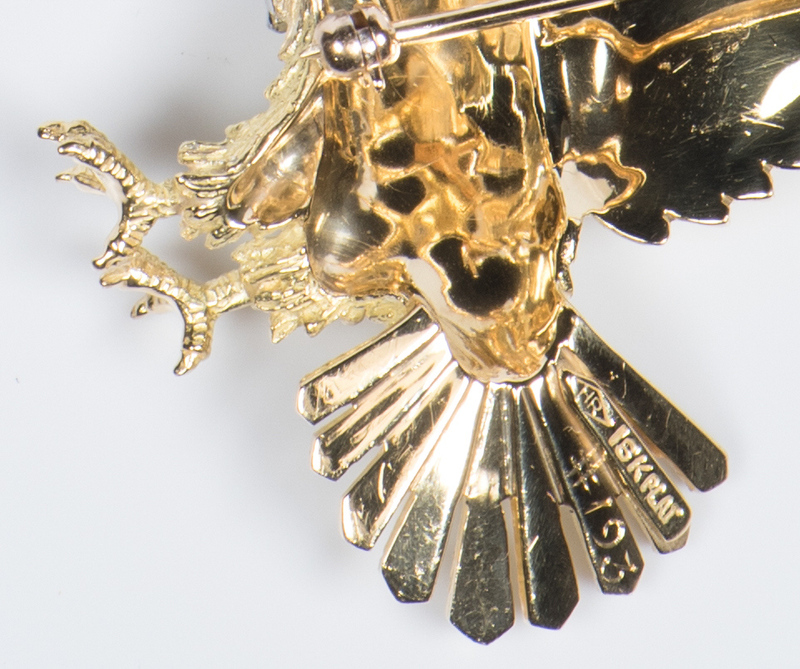 2-1/4" H x 2-1/4" W. Stamped #193 with maker's mark, 18K PLAT. 21.8 grams. 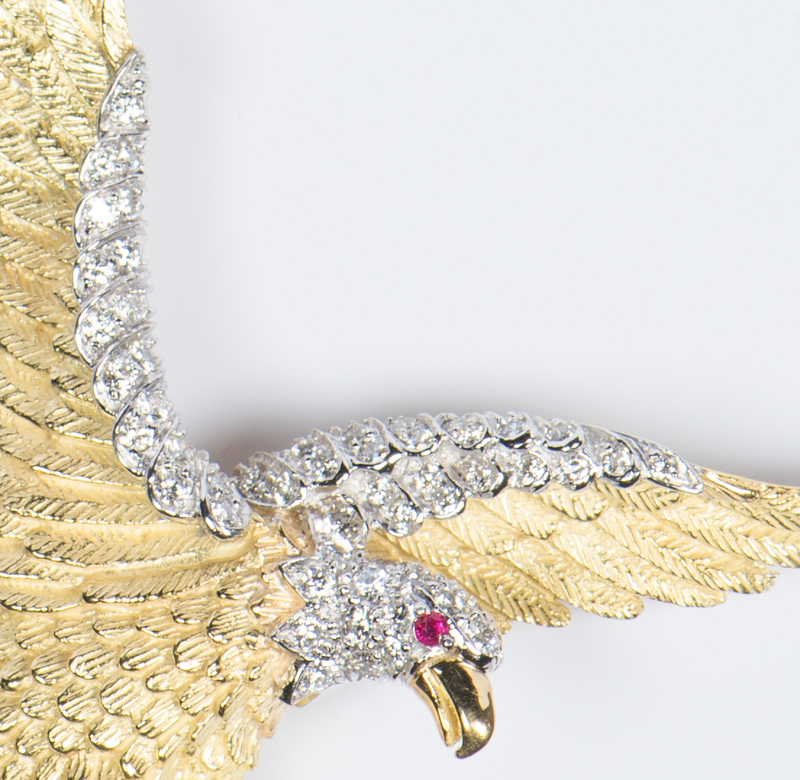 Note: The American Bald Eagle brooch was crafted by Herbert Rosenthal to celebrate the US Bicentennial in 1976. There were only 200 made. CONDITION: Very good condition.